and sinned . . .
and searched for the one? it’s always been about the one. The one among seven billion. I couldn’t lay the book down. The author’s words astounded me. Like most Jews I knew while growing up in New York, my family never owned a Bible, and we rarely attended synagogue. If anyone had asked me why I was Jewish, I’d have shrugged my shoulders and replied: Because my mom is Jewish. So when I read The Late Great Planet Earth in 1972, I had my first introduction to the Bible beyond my very superficial knowledge of the Ten Commandments. What Hal Lindsay wrote caused me to shake my head in near disbelief. The prophets of the Jewish Bible – the Old Testament – had predicted for centuries that God would send His Messiah to our people. Isaiah 7:14, Isaiah 9:6; Isaiah 53; Daniel 7:9-14, Zechariah 12:10, Micah 5:2-5, and Psalm 22:1-18 were only a few of the hundreds of prophecies our prophets made regarding the Messiah. As I read them again and again, I knew they spoke about none other than Jesus. My mind whirled with this new knowledge. I knew I’d found truth! Absolute, unalterable truth. Eternal truth so remarkable I dared not hide from it. Truth so full of hope I dared not ignore it, regardless of the personal, social or career cost it might require. Oh, the ecstasy of it all! I could be cleansed, forgiven and freed from all the selfish senseless evil I’d ever committed, wickedness that at times weighed deeply on my conscience. Killing my baby in the abortion clinic, turning young women into whores, helping turn young men and women into drug abusers, hurting others simply because I could – all of it, wiped away in an instant by the truth wrapped in the promises of God. But there was even more. Despite my wickedness, God loved me – certainly not what I’d done – but He loved ME. And He would adopt me into His family if only I turned my life over to Him. What else could I do in the light of such life-altering truth? I knelt beside my bed and prayed: God, I believe Jesus is the Messiah. With that simple seven word prayer, God knew I was telling Him I would follow Him wherever He led, do whatever He commanded – and I didn’t care what anyone else thought. The Holy Spirit then showed me how to find more about this truth. I bought a Bible and began reading. Cover to cover, twice in that first year. When I didn’t understand a passage, the He led me to seek mature Christians who used Scripture to interpret Scripture to answer my questions. That was more than 40 years ago, and God still leads me to seek truth through the pages of the Bible. Indeed, it was my continuing search for truth that ultimately led me to the Catholic Church a few years ago – truth previously hidden from me, truth so exhilarating about the Sacraments and the physical presence of Christ in the Mass I could not ignore it, regardless of the personal, social, or career cost it might require. During the last 40 years I’ve spoken with many men and women who did not understand much about God or His word. Most of them came to me with inquisitive hearts, honestly seeking answers to their questions. I always answered as best I could, while considering my own continuing journey to know more about Him. But there were also those who, like the Pharisees who came to Jesus trying to trap Him in some statement (Mark 12:13), or the Samaritan woman who at first wanted only to challenge Him (John 4:9-26), there were those who did not want to know truth, but instead wanted to justify their lifestyles or simply engage in an intellectual discussion for the sake only of entertainment. I wish I had learned in those days what St. Bernadette knew: Our job is to inform, not to convince. It is, of course, only the Holy Spirit who can convince someone of “sin, righteousness, and judgment” (John 16:8). Our job is to simply tell others what the Book says. If you really want to know truth, then go to the One who is truth and read what He said. Read the New Testament. Even if you have read the Bible in the past, please do so again. Two chapters a day will finish the New Testament in less than four months. I recommend you use a good modern translation, preferably one without editorial commentary in the page margins. The New American Bible (Catholic edition), the New King James Version, the New American Standard Version, or the New Revised Standard Version (Anglican or Catholic editions) are some of the high quality translations available. Start at Matthew’s gospel and continue reading a couple of chapters a day until you finish Revelation. Keep a journal and each day write what you have learned, or what questions come to mind. Send me weekly updates on your progress so we can talk each week about what you are learning. When you finish the New Testament, we will sit and talk about any other questions you might have that still trouble you. We will talk for as long as necessary, months, if necessary. I do not assign the New Testament because I consider the Old of little value; On the contrary, one cannot fully understand the New Testament without a fluent familiarity of the Old Testament. As St. Augustine wrote: The New Testament is concealed in the Old, and the Old Testament is revealed in the New. 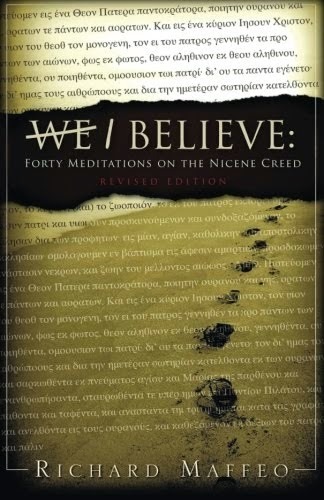 But the questions most people ask are more readily answered through the pages of the New Testament. My God has done so much for me that I yearn to tell others of His great love and promises. But the older I get, the more I realize time is too short and too precious to waste discussing truth with those who are not really interested in more than sound-bites. Those who play theological games with God ought to be wary, for God is not mocked (Galatians 6:7). But to those who seek Him with an honest heart, caring not about the cost, God says, You will seek Me and find Me when you search for Me with all your heart (Jeremiah 29:13). At first, I thought it was the battery to my car alarm remote-control. The remote usually unlocks the door from several feet away. This time I had to use the key and manually disengage the alarm before I could start the van. When it happened again a week later with a newly purchased battery, I thought the remote might be defective. It wasn't until after I installed a third battery that I learned why the remote-control didn't work. My friend pointed the reason out to me. "It's the interference from those towers," he said. I followed his gaze across the hills to the radio transmitters a quarter-mile away and realized he was right. My car-alarm malfunctioned only in that parking lot. A hundred new batteries would not have opened the door. The only effective remedy against being locked out of my van was to stay away from the interference. As I drove from the lot I wondered if there was a spiritual parallel between my locked car and the reason some people find themselves locked out of a closer relationship with Jesus Christ. Jesus promised His followers a life rich with the peace "which passes all understanding." He guaranteed us a well-spring of joy flooding from deep within ourselves. He assured us of power to overcome temptation. Yet many Christians can't even get into their vehicles, much less move on with Christ. They’re locked out by too much spiritual interference. Their source of entertainment and recreation stifles the Holy Spirit's guidance. The books and magazines they read interfere with the gentle voice in back of their minds urging them toward a different path. The movies they watch, the thoughts they nurture, the relationships they keep – all work together to interfere with God's whispered, "walk along this path." I didn't need another new battery to open the car door. I didn't need a new remote control. I simply needed to leave the area where radio waves interfered with my car alarm. Late in his life, St. Augustine discovered God made us for Himself, and “our hearts are restless” until they find their rest in Him. And so when we find ourselves locked out of a closer relationship with Christ, may God help us understand we don't need more "things" to open the door and fill our spiritual void. We don't need more education, or more money – or even more religion. We simply need to get away from whatever it is that interferes with His voice. It's been more than 50 years, but I still remember the fun we had collecting baseball cards. For a few cents my friends and I purchased photos and playing histories of the sport's greatest. I kept mine safely in a shoe box. Whitey Ford, Willey Mays, Mickey Mantle, Yogi Berra, Sandy Koufax.... we cataloged them, traded them, bartered with them. But as the years passed, my once compelling interest in baseball cards waned. Other things captured my attention and my revered Whitey Fords and Mickey Mantles ended up scattered across my closet floor. By the time I was thirteen I no longer owned a baseball card. Had I known then what I know now about the value of those cards, things would have been different. Trade them? Never! Leave them scattered around the house? Are you kidding? Some of those cards are worth several hundreds of dollars today. And to think I let mine gather dust in my closet. Older now . . . and hopefully a measure wiser, baseball cards have taught me an important lesson about the value of things often taken for granted. Like relationships, for example. Many years ago I read a newspaper article of a woman who, while on her way to work, skidded on wet pavement and ran off the road into a ravine. She left behind two teenage children. I wondered if they had said to her that morning as she left the house, "Mom, I love you." If they were like I am, they probably hadn't. Did they expect that day to be the last she would be on this earth? No, of course not. It was just another Tuesday. Like every other Tuesday. Mom drove out of the driveway to her job And the two teens busily set about their own plans. Then suddenly, things changed forever. Relationships. What about marriage? It used to be I could count on one hand (well, maybe two) the number of failed marriages among my friends. Now I've lost track. Had each couple planned, as they stood before the altar, their future division? I doubt it. Rather, each vowed their life-long commitment, full of promises and romance. But then pressures of work, of raising a family, and who knows what else began taking their toll. And somehow romance and promises wound up collecting dust between the covers of photo albums or scattered like so many knickknacks across a passionless house. And without realizing what was happening while it was happening, they flipped their relationships aside like so much valueless clutter. Relationships. What about that between a parent and child? How many moms and dads have lost touch with the value of their children? When the kids were younger they played ball together, went for picnics, had tea parties. But now there's precious little time to do much as a family. Monday is PTA. Tuesday, scouts. Wednesday is bingo. Thursday, bowling. Friday is whatever. Then comes the weekend. Who can crawl out of bed? And so weeks roll into years, and memories collect dust and cobwebs. But the saddest of all examples of outgrown relationships is the way many "outgrow" their relationship with God. Where church attendance had once been an important part of childhood, where stories of Moses and David, of Paul and Jesus had been the stuff on which they were nurtured, fishing trips or shopping at the Mall now take precedence on Sundays. The value of a once vibrant relationship with the God of the Universe has lost personal meaning for a large and growing number of people. Relationships can so easily become strained or torn asunder between a mom or dad... a spouse... a child. Even our God. But the choice, where the choice may still be made, is ours. We can scatter our treasures across the floor, or safely protect them. Inevitably, it will happen; Each of us will learn in time, relationships with one another are of much more worth and of more infinite value than things like baseball cards. May God help us learn it early rather than late. 4:00 AM. I’d gone to bed only a few hours earlier, setting the alarm for 6:30. An exhausting day of packing our household goods into boxes awaited me in the morning. But after a short while of fighting the sheets and glancing at the clock every few minutes, I realized I’d not be getting any more sleep that night. The best I could hope for was to doze on and off until the alarm finally broke my misery. I struggle with insomnia. Been fighting a discouraging and losing battle with it for years. And though I dislike using sleep medication, unless I take something at night, I wouldn’t get more than a few hours of rest. But that night, with such an intense day facing me, my frustration grew with each passing quarter hour, and I found myself focusing my annoyance – now that I think back, it was anger – at of all people, God. I was like a two-year-old having a temper tantrum. Most who know me well think I’m a spiritually mature Christian who knows Jesus on an intimate level. I pray and read Scripture each morning and evening. I teach a weekly Bible study, write an evangelistic blog encouraging others to walk more closely with Christ. I’ve written three books about the love of Jesus – and how to love Him back. 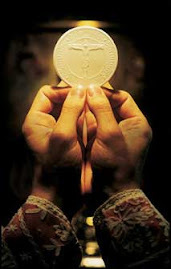 I receive the Holy Eucharist each week at Mass and I try to live according to Biblical principles. But there I was at four in the morning, frustrated and angry with God – and actually threatening Him that if He didn’t answer my prayer and let me fall back asleep – well, I would just show Him and thing or two! My confession to you embarrasses me. When I finally crawled out of bed at 5:30, I padded into the other room, plopped myself down on the couch, and opened my Bible. I’d been reading two chapters each morning for nearly four decades and I wasn’t going to stop now. Even if I was angry with God. I should have expected what happened next. Before I got two verses into Genesis 25, I started feeling guilty about what I’d said to God a few hours earlier. Really guilty. Who do I think I am to rail at God – for any reason – but especially because He didn’t answer my prayers about going back to sleep? To compound my sudden sense of shame, the Holy Spirit reminded me of at least a dozen Scriptures I’d memorized, Scriptures that spoke directly to my accusation against God, such as Psalm 44:17-18: All this has come upon us, but we have not forgotten You, And we have not dealt falsely with Your covenant. Our heart has not turned back, and our steps have not deviated from Your way. And, Habakkuk 3:17-18: Although the fig tree shall not blossom, neither shall fruit be in the vines; the labor of the olive shall fail, and the fields shall yield no meat; the flock shall be cut off from the fold, and there shall be no herd in the stalls: Yet I will rejoice in the Lord, I will joy in the God of my salvation. It is, as I wrote a few paragraphs earlier, embarrassing to admit to you what I consider my significant failure. But I have a wider point to make. Two days later, as I periodically rehearsed my temper tantrum and lingering guilt, the Holy Spirit reminded me of – of all people – St. Peter’s failure as recorded by St. Paul. You can find it in chapter two of Paul’s letter to the Galatians. St. Peter – the one chosen by Christ as the first pope – Peter played the hypocrite when faced with the choice of pleasing Christ, or pleasing his Jewish friends. In this case, Peter chose poorly. Whereas he used to pal around with the Gentile converts, when James and the other Jewish apostles visited town, Peter “held himself aloof” from the Gentiles because he was afraid of what the apostles would say. So great was his hypocrisy that even Barnabas – a man known for his benevolence – even Barnabas was swayed to choose as poorly as did Peter. So what’s my point? I have two. First, as well as you or I might know the Lord, as close to Him as we might be – sin is always crouching at our door, and we must be ever alert if we are to master it. Second – and I think more important – the Lord Jesus assures us in St. John’s gospel, the Father loves you and me as much as He loves Jesus (John 17:23). It is important I say that again. The Father loves you and me as much as He loves Jesus. That means when I – or you, or anyone who is a child of God through faith in Christ’s blood atonement – when I get frustrated with God, and even when I get angry with Him – He loves me as much as He loves Jesus. And when you sin, He nevertheless loves you just as much as He loves Jesus. The Lord is compassionate and gracious, slow to anger and abounding in lovingkindness . . . He has not dealt with us according to our sins, nor rewarded us according to our iniquities. For as high as the heavens are above the earth, so great is His lovingkindness toward those who fear Him. As far as the east is from the west, so far has He removed our transgressions from us. And so, Oh, God, help us ever remember your compassion toward us – even though we angrily accuse you. And help us remember to leave our guilt and remorse in the confessional and get back to doing the work you’ve called us to do. Amen. 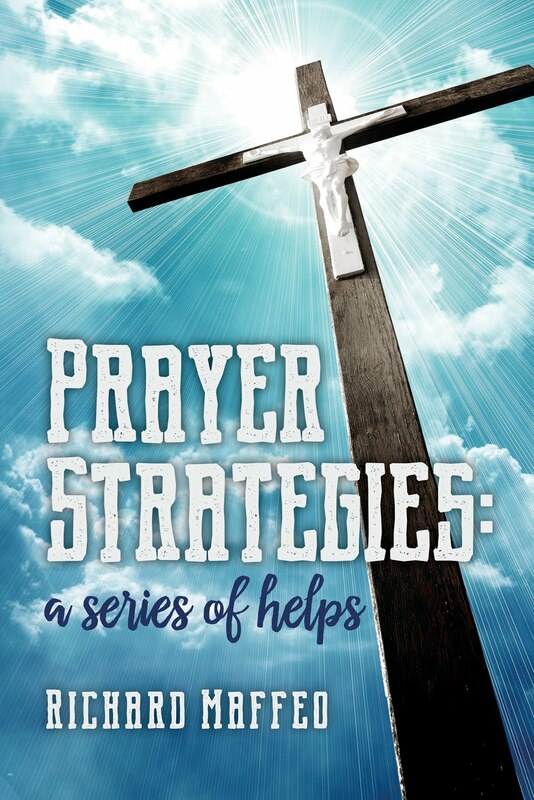 Some time ago I wrote a series of Prayer Strategies. Twelve, to be precise. Because prayer is, in my view, absolutely essential to a maturing life in Christ, I thought the strategies valuable enough to place them in a separate blog. Click on this link to find them: Prayerstrategies.blogspot.com. Strategy Eight -- Lectio DivinaThe Catechism of the Catholic Church (paragraph 2728) continues its teaching regarding prayer this way: Finally, our battle has to confront what we experience as failure in prayer: discouragement during periods of dryness . . . The conclusion is always the same: what good does it do to pray? To overcome these obstacles, we must battle to gain humility, trust, and perseverance. Dryness. Discouragement. Distractions. I have experienced many reasons and made many excuses to avoid time with God in prayer. My earlier posts highlighted several strategies I have used to keep focused on prayer. Lectio Divina is another. Actually, I’ve practiced lectio divina for decades – without knowing it had a name. Lectio Divina is an ancient form of prayer often associated with the monastic tradition. It’s description is more detailed than what I am about to tell you (you can find more information by clicking this link), but essentially I practice lectio divina each time I read the Scriptures and ask myself two questions: What is the writer trying to convey to his readers, and what might the Holy Spirit be trying to convey to me in the passage? While I mull the questions over and over in my mind, sometimes nothing comes to me. At other times I gain new insight into my walk of faith. And, if a particular verse in text catches my attention, I memorize it and speak it back to God as a form of prayer. The Scriptures are an integral part of any Christian’s faith walk with Christ. Indeed, it is so important to our spiritual lives, the Catechism tells the Catholic faithful: The Church "forcefully and specifically exhorts all the Christian faithful. . . to learn the surpassing knowledge of Jesus Christ, by frequent reading of the divine Scriptures. Ignorance of the Scriptures is ignorance of Christ (paragraph 133). Lectio Divina is very special to my time with the Lord because He so often speaks with me through the Biblical text. I don’t know how I could mature in my faith and in my relationship with Christ without constant nourishment on His Word. Thus, it is no surprise the Church teaches: And such is the force and power of the Word of God that it can serve the Church as her support and vigor, and the children of the Church as strength for their faith, food for the soul, and a pure and lasting fount of spiritual life." Hence "access to Sacred Scripture ought to be open wide to the Christian faithful" (Catechism paragraph 131). Two essays I’ve written in months past are examples of reflections born out of Lectio Divina: Sometimes It Causes Me to Tremble & Sunday is Coming. Read them. I think they will help you better understand this type of valuable method of prayer.